perfect for high quality carpets. 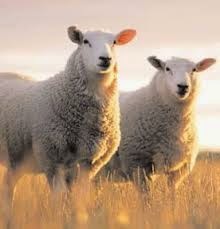 There are over 60 different breeds of sheep in Britain, more than any other country in the world. Sheep are sheered once a year. Shearing is good for the sheep and it also provides the fabulous raw materials for you carpets. Due to its hill and lowland landscape and temperate climate, the UK produces strong, durable wool for some of the finest carpets in the world. British wool is grown on hardy sheep grazing freely on open countryside across the UK, protecting the sheep from harsh winter winds, rain and snow. The wool adopts resilient characteristics that are ideally suited for the manufacture of quality carpets. British wool is a planet friendly natural fibre which Is annually renewable, sustainable and biodegradable. Wool is highly energy efficient in the home reducing heat loss and reducing carbon emissions. Wool has a true ‘Green’ linage and is Mother Nature’s own SMART fibre. Consider how wool is practically recycled from fleece through to carpet, clothing and other products. Wool brings soft and luxurious underfoot comfort to the home. In addition, a range of naturally inherent attributes that are unique to wool add significant comfort to the home. The complex cell structure of each fibre allows wool carpet to breath, absorbing and later releasing humidity. It also contains floating dust particles, which ensures a cleaner and more comfortable interior atmosphere. British wool is a fibre that has natural insulating properties, which reduce heat loss, condensation and noise, providing improved air quality and a comfortable home environment. British wool is a fibre with bulk and resilience offering superior durability and performance. A British wool carpet will reduce the effects of tracking and shading, providing a longer lasting appearance retention. Wool grown by British sheep is used to carpet royal palaces, the finest hotels, prestigious stores, offices, airports, international airlines and luxury cruise liners such as the QM2. British wool is a smart fibre with a complex physical and chemical structure – Its highly technical performance is currently unmatched by manmade fibres. Research continues to prove that wool is the superior natural fibre for carpet. If you look at wool under a microscope you will see that it’s surface is made up of over lapping scales. These scales envelop an incredibly sophisticated natural bio-core more intelligent than any manmade carpet fibre. British wool has an inbuilt resistance to soiling due to its natural oils and the scaled structure of the fibre which act as a shield against dirt. Simply vacuuming your British wool carpet will keep it looking good. Spills are also easily managed, as Britisg wool has the ability to repel spills, giving you time to blot clean. British wool is naturally flame resistant and produces less toxic fumes than most other materials. It has a higher ignition threshold levels than many other fibres and its ability to self-extinguish make it a safer product in areas of public usage and the home. British wool is used in high specification industries for its unique properties, particularly transport and public buildings where health and safely is a prime consideration. British wool is regularly specified by architects and commercial buyers as carpet fr contract and hospitality venues across the world. It is chosen for its inherent safety attributes in fire situations or as a safeguard from falling.